💰 One of the biggest challenges and tests of this temporary world is that of #wealth. We all need it, but how is it viewed from the Islamic perspective? What’s too much? What’s greed? What’s just enough? 🗣 Muslim Council of Hong Kong humbly invites you all, men and women, Muslims and non-Muslims, attend this enlightening talk on a topic which can make or break our dunya and akhira. 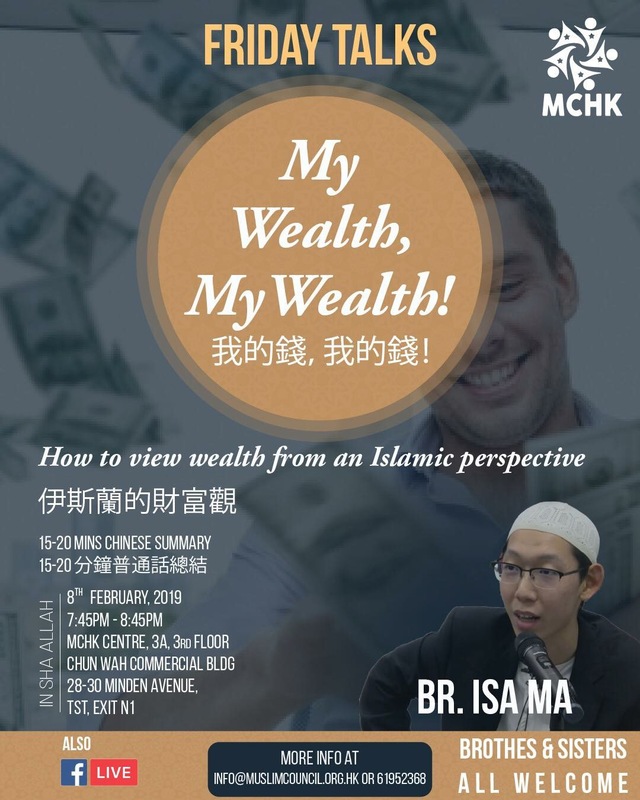 👤 Brother Isa Ma is a young and charismatic individual who is eager to improve his knowledge base while sharing what he has learned in a self-reflecting way. ✋ So why not join this class to be in the gathering of the angels and increase your #knowledge about Allah's religion.